Are you looking to upgrade your boring carpet to natural wood flooring? Fed up with trying trying to clean your dull tile flooring? Hardwood floors are becoming a very popular choice with homeowners. Not only do the hardwoods add sophistication to your dwelling place but are the easiest floors to keep clean. It can also raise the property value should you decide to sell your home. You should consider speaking with a professional flooring company to help you decide which hardwoods would be the best look for your home. When upgrading consider these facts. You don’t have to use harsh chemicals on hardwood floors. All you would need is to apply a small amount of water to the floors. You need to make sure that consult professional to make sure you don’t damage the floor when spot treating. Another fact is to be careful not to put a dent in the floor. No wood is sent resistant but to keep it from looking bad make sure the finish that’s on it will dent with the wood. Keeping pets is not that difficult to do with hardwood floors. It’s easier to clean up the spills, fur, and other messes pets tend to leave behind. However, just like carpet and other tile, these elements should be cleaned up promptly to prevent staining. 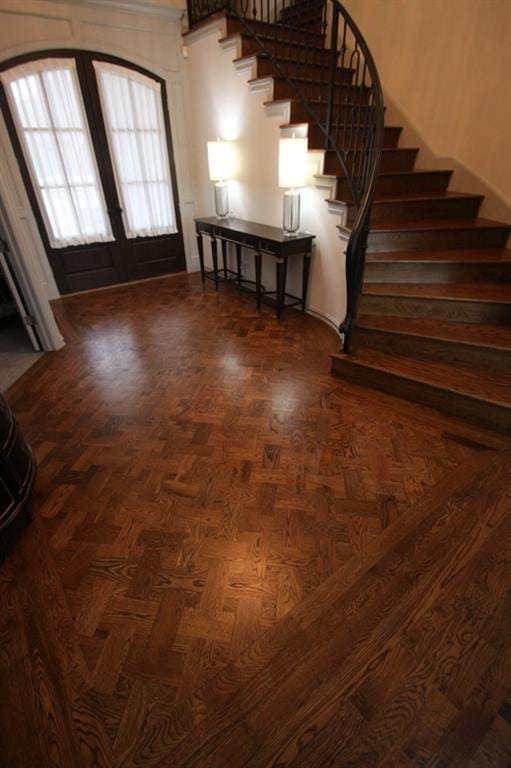 A Flooring company should give you the right advice on how to keep those hardwoods clean. They should recommend and brand of solution that you can use to mop your floors or recommend to just use water so that you will not destroy the finish. If you follow the follow instructions, your floors will last a lifetime. So how would you clean up wood flooring? It is the type of wood that determines best how to go about cleaning your floor. If your wood floors are sealed, you can take the easy route of just sweeping, mopping, and your done. You can mop with just plain water. Just make sure to keep the mop damp. The floor should dry the minute you pick the mop up off it. An oil treated or penetrated seal treat floor requires a paste or wax for cleaning. This is where you should ask the flooring company about what product to use. They point you in the right direction so that you make any costly mistakes cleaning your floors. Shellacked, varnished, lacquered, or untreated wood floors also need a liquid or paste wax to clean it. Once again, it’s best to talk to the flooring company about what to use. Any good flooring company can give you different types of tile samples so you can see what type of wood would make your home look nice. There are several variations of flooring that you can choose from. They are pecan, cherry, oak, pine, maple, hickory, beach, birch, and walnut. Others are available but these are the most popular. Some come with seals and finishes, while some do not. It depends on your taste. If you want an unfinished floor the best places to lay it down would be the kitchen and bathroom. The finish that goes on the floor to seal the boards will keep water from seeping through. Flooring that comes already seal is just easier to put down. The job is done very quick and there are no odors. Once the wood flooring job is done, you can walk on the floor soon after. A good flooring company will explain in detail everything you need to know about your floor. Find yourself a good flooring company to give you that upgrade. If you are in need of professional hardwood flooring services, contact Brücke Hardwood Flooring in Tulsa, Oklahoma today! Brucke Flooring can also assist you with flooring restoration!